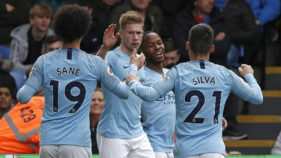 Alexandre Lacazette fired Arsenal to a fourth successive Premier League win as the French forward’s superb strike inspired a hard-fought 2-0 success against Everton on Sunday. 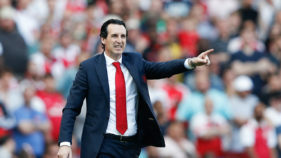 Unai Emery’s side rode their luck in the first half at the Emirates Stadium as Everton wasted a host of chances to punish a sloppy opening from the Gunners. But Lacazette ensured that lethargic spell wouldn’t prove costly when he smashed a sublime opener in the second half. Pierre-Emerick Aubameyang doubled Arsenal’s lead moments later when the Gabon forward was allowed to slot home despite being clearly offside. 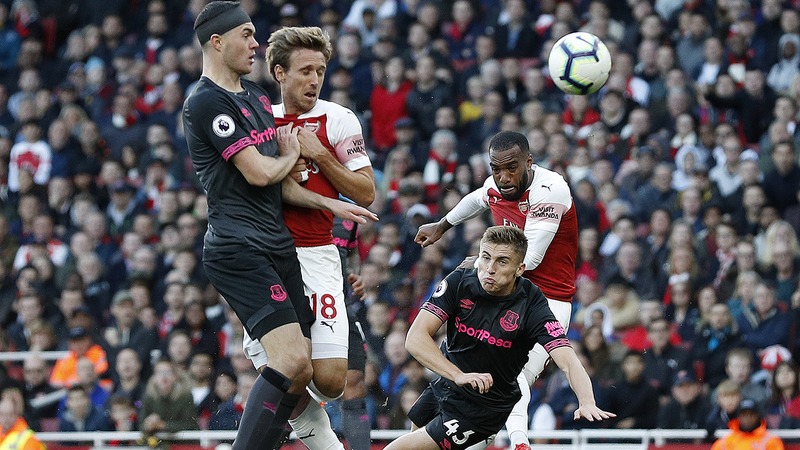 That controversial effort shattered Everton’s resolve as Arsenal celebrated a flattering victory that lifted them to sixth place in the Premier League. Marco Silva’s team have lost their last two matches and have won only one of their six league games this season. After a laboured start from Arsenal, they finally pieced together an incisive raid when Hector Bellerin’s cross found Aubameyang at the far post. If that move show-cased the best of the attack-minded Bellerin, Everton’s next chance underlined the Spaniard’s defensive frailties. A long pass into Richarlison should have been easy for Bellerin to subdue, but he allowed the Brazilian forward to turn away from him far too easily, and it took a good save from Petr Cech to spare his team-mate’s blushes. 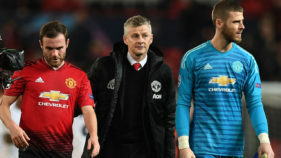 There were plenty of empty seats around the Emirates and, with Arsenal struggling to find any rhythm, those who had shown up were growing restless by the time Lucas Digne’s free-kick was tipped over by Cech. Sprinting onto Gylfi Sigurdsson’s pass, Walcott had a clear sight of goal but shot straight at Cech in a familiar sight to Arsenal fans who endured the winger’s erratic displays for so long. Arsenal lost Greek defender Sokratis to injury, leaving the Gunners even more vulnerable to Richarlison, who immediately seized on Sigurdsson’s pass and unleashed a powerful drive that forced Cech to save. If that was tough on Everton, there was worse to come for Marco Silva’s side three minutes later as Arsenal scored a dubious second to seal the points. Mesut Ozil surged away down the right flank and when the Arsenal midfielder’s pass reached Ramsey, he flicked the ball to the offside Aubameyang. The linesman’s flag stayed down and Aubameyang did the rest, planting a cool finish past Pickford for his fourth goal of the season.